Drop a tropical adventure right onto your floor. 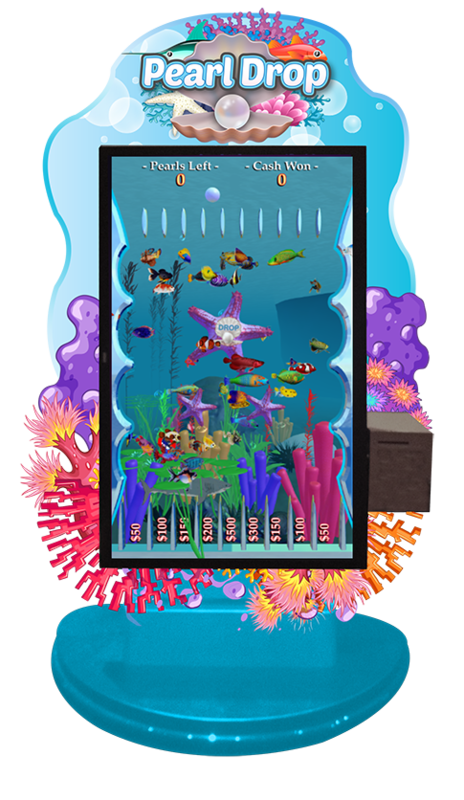 Your players will love the vibrant colors and sounds of our new Pearl Drop digital kiosk game. Reward players with customizable prizes. SCA’s coverage gives you the option to add a mega-prize and still stay within your budget. While the pearl is sinking through the sea of fish, if it happens to hit a designated multiplier fish, the player is awarded that prize multiplier to whatever receptacle the pearl lands in.